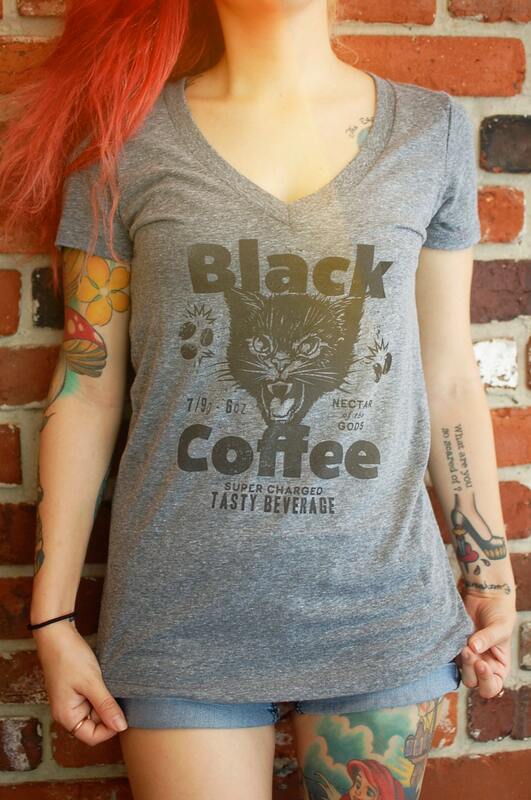 Vintage Black Cat Fireworks Logo / Black Coffee Parody T-Shirt. This shirt is printed with "Vintage Ink" for a super soft hand vintage look. Wash before wearing for vintage ink to take effect. 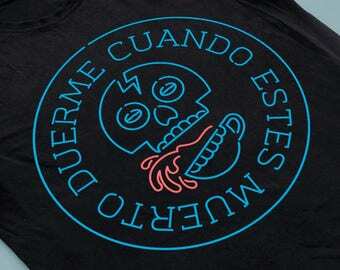 * For best care instructions wash shirt inside out with cold water and hang dry. Printed on a female Next Level Tri-Blend Deep V-Neck T-Shirt. Professional coffee tasters use roughly 7 to 9 grams of coffee for every 6 ounces of water. Coffee is highly caffeinated and really really tasty. ** Model is 4 11" and 110lbs and is wearing a size small. Super cute and soft tee. This shirt is perfect. Not only is it incredibly soft, it is badass and reels in the compliments. I am a black cat lady as well as a coffee addict, so this shirt is beautiful. It also arrived incredibly fast. Thanks so much! !